I never order seafood chowder out because we make it so much better at home. The one we do has a ceeamy base, but would love to try this cashew version. 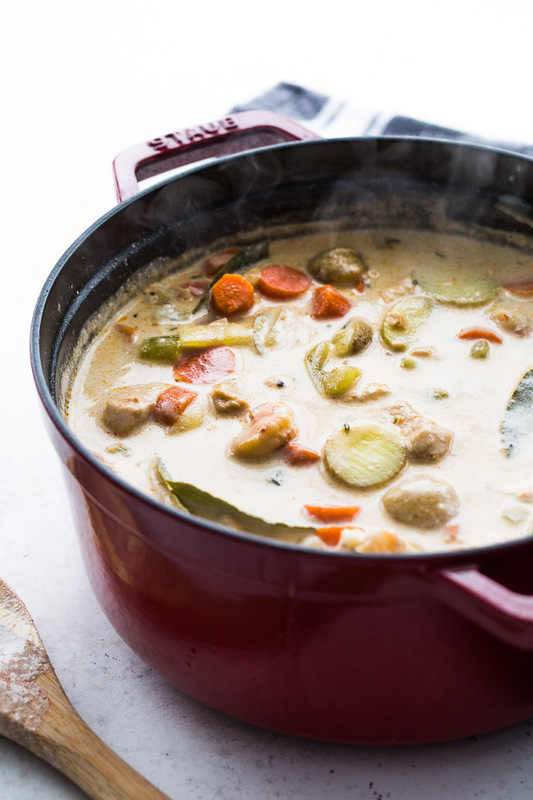 This definitely would be welcomed on a cold day like today…with lots of crusty bread. So hearty! Thanks Dawn! Isn’t homemade always better?! Hubby and I barely dine out any more for that very reason. I hope you get a chance to try chowder with the cashew base. I’m definitely sold. And yes to all the crusty bread with this soup! Ohhh, my hubby will love this! He is all about seafood stews and chowders and this looks positively divine! Thank you for sharing a warm and hearty recipe on this cold-cold day!! Pinned! Thanks Annie! This one is great for a cold day. It’s definitely cozy soup season! Stay warm! This looks SO creamy, Leanne! Gotta love those cashews…they yield such deliciousness! I usually love seafood chowders but they have so much dairy in them so this is a welcome change! Will definitely be adding this to my list to cook!! 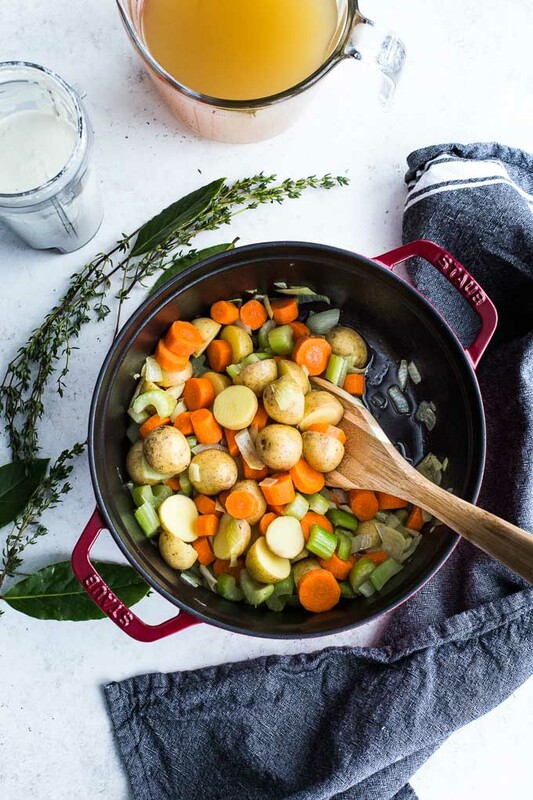 Also – LOVE that Staub dutch oven! Beautiful color!! Thanks Haylie! Cashews are so great for adding a creamy texture. I can’t believe it took me so long in life to discover them! The Staub is a new addition to my kitchen (Christmas gift from my hubby) and I’m absolutely in love with it! How delicious does this look Leanne?! And dairy free? I can’t believe how deliciously creamy it looks! Need to add this to our soup menu! Thanks Mary Ann! I hope you get to try it. The cashews add an awesome creamy texture! oh wow! This looks so comforting. I was never much of a chowder person until I visited Canada and I thought “when in Canada ….”. I tried one and now I’m so sad on all the years I missed out on this deliciousness. I really love this version and am keen to try it with the cashew as a base as I’ve been cutting down on dairy lately. I’m so glad you finally tried chowder Marie. Definitely one of the must-try Canadian foods! I’m also cutting back on dairy, and cashews are a great way to add creaminess without cream or milk. I hope you get to try this one! Happy Friday! I’ve never been a big seafood lover, but this looks like something I might have to try! Cant believe its dairy free. This looks soooo cozy and delicious, Leanne! I can’t believe the creaminess comes from cashews–what can’t those delicious little things do? Have a great weekend, my friend! Haha! Right?! Cashews are the best! Thanks Kelsie. Hope you had a lovely weekend too! I’ve always loved seafood chowders too, but I’ve never attempted making one! You’ve inspired me! It looks so hearty and cozy, I can picture myself eating this all week! Thanks Katherine! I haven’t made many of my own either. This one is pretty easy and makes a great make ahead lunch! 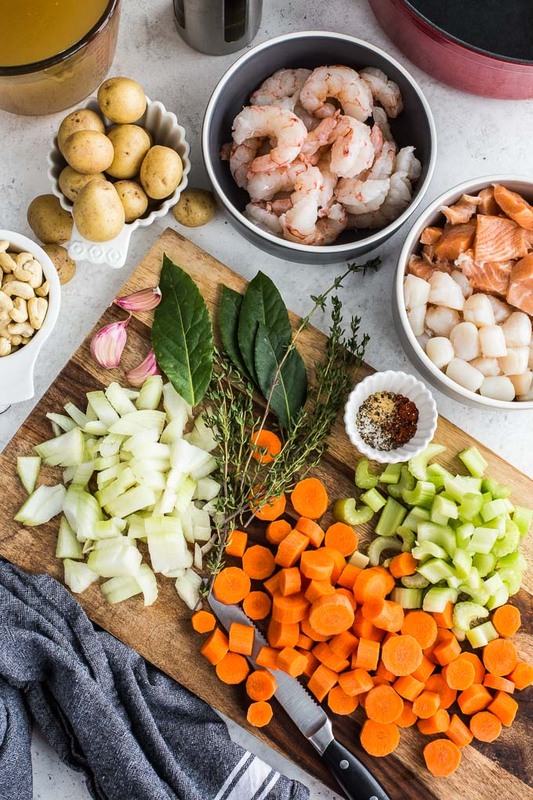 I didn’t like seafood chowders/stews until culinary school — they were amazing! 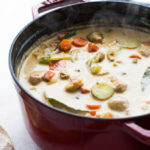 I love that this is dairy free because I really don’t like overly rich creamy soups and I’m minimizing my dairy intake. This is perfect for the cold weather we’re having! Thanks Marcie! The cashews make this one filling without being heavy, and it’s great if you’re cutting back on dairy. Hope you’re week is off to a great start! Oh wow. This looks like an amazingly comforting dish that I really want to try! And all that seafood! Thanks Lisa! Yes, it’s definitely comforting, and I made sure to load it with seafood!! Take care! Tried this last night – it was so good – Love it! I’m a big fan of seafood chowder. While I like a cream-based soup, I’ve also used your idea of a creamy cashew base and it’s fantastic! You don’t miss the dairy at all! 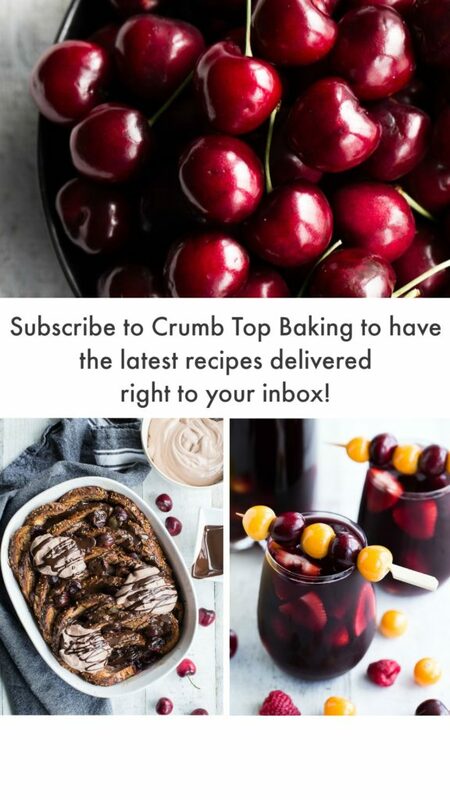 Pinning your beautiful recipe. Thanks Elaine! I must admit, I wasn’t sure how it was going to turn out, but the cashews add so much creaminess, you really don’t miss the dairy. Thanks for pinning! Just love that you’ve given a dairy free option to one of my favourite childhood memory dishes! 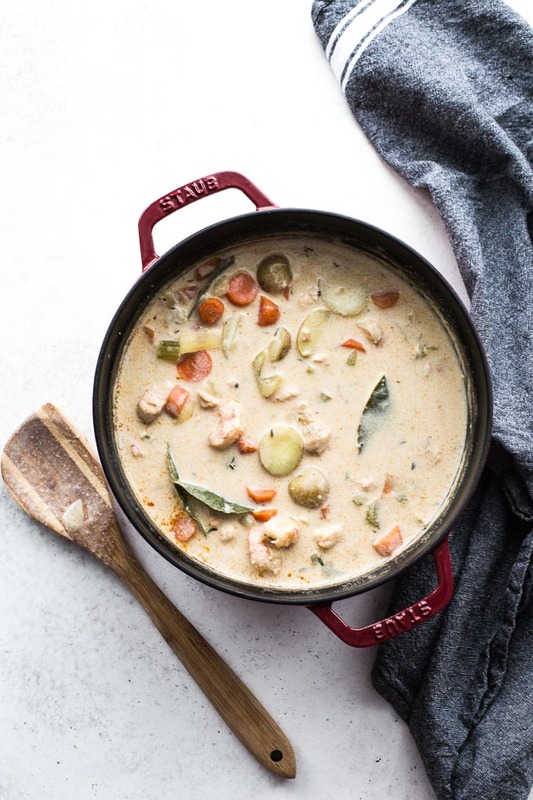 You get to enjoy the rich flavours of seafood chowder without all of the heaviness, love it Leanne! Thanks Tanya! You definitely get all the creaminess here without the heavy feeling! Yum! Looks so hearty and delicious! This looks like a winner! 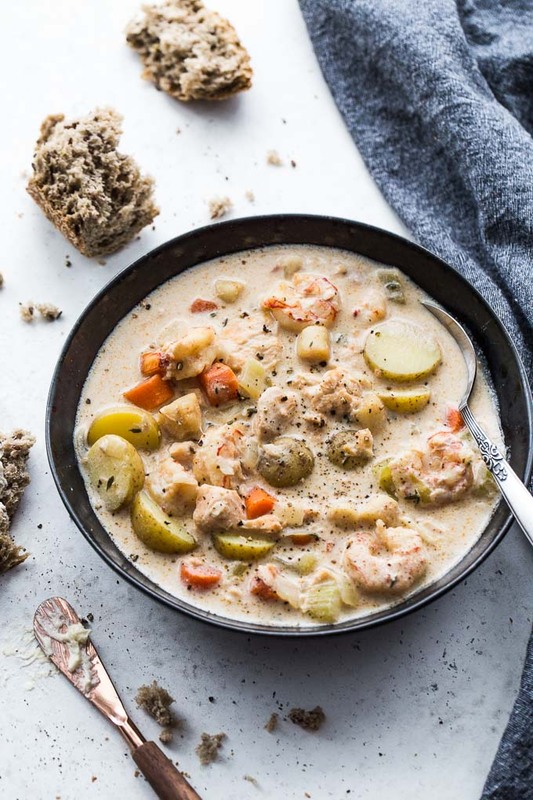 January is statistically the most depressing month of the year, so while many of us need to find the balance after the holidays, we must not forget about comfort food 🙂 What could be better than homemade Chowder? This looks and sounds dreamy that I would not have thought it’s dairy-free. Beautiful! Thank you! I like the way you think Ben! Comfort food definitely helps me get through January! Thankfully, it’s almost over! 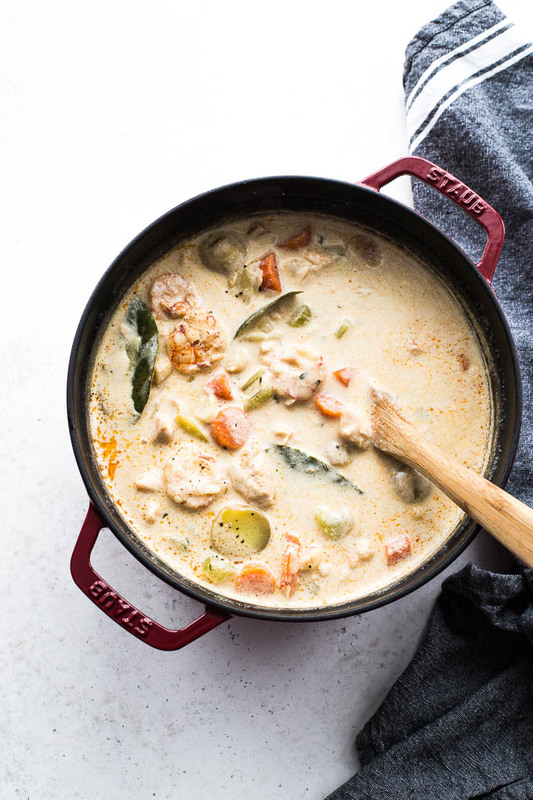 I love the creativity of this recipe, would never have thought to use cashews in place of dairy in a chowder! Such a hearty recipe for a cozy winter meal. Thanks Yvonne! Cashews are magical! I’ve been using them a lot lately as a dairy replacement! Thanks so much Terri! Appreciate you sharing! Leanne, this chowder looks so good. My partner is originally from the East coast (New Brunswick), and he has been begging me to make more East coast inspired recipes. I will have to give this a go. 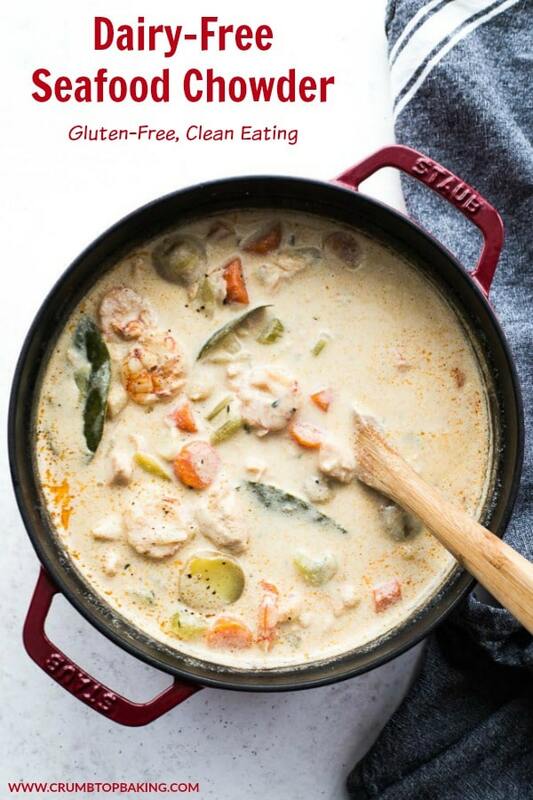 So many people have dairy intolerances, so it is nice to have an option for chowder that is dairy-free. Also, how gorgeous all of the ingredients look in these photos! Thank you so much Donna! I hope you get a chance to make it and that your partner likes it! I make it all the time, and I don’t miss the dairy at all!